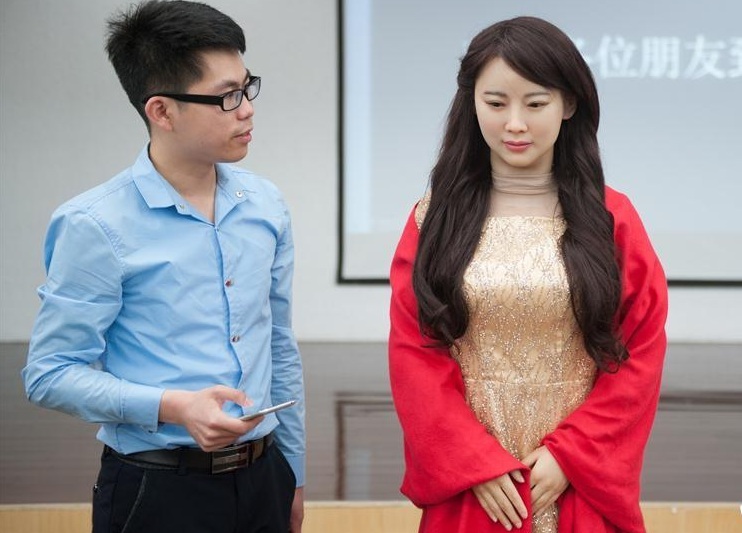 The University of Science and Technology in Hefei, Eastern China proudly unveiled a beautiful female robot named Jia Jia last week. Developed in three years, Jia Jia is programmed to interact with humans through speech and movement. 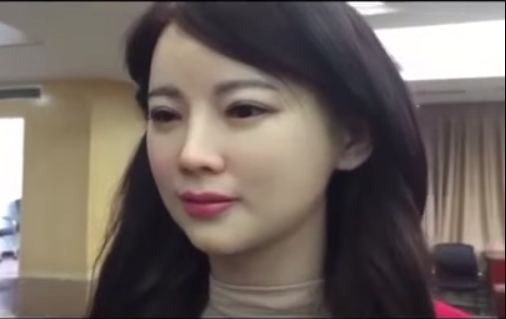 Though researchers had very limited resources, the lifelike appearance of the female robot is remarkable. But when she starts to speak, it's easy to spot that she's not human at all. Her face looks almost perfect but her eye movement is limited and looks a bit scary. Her mouth movements are minimal, hardly in sync with the words she's saying. Even then, Jia Jia is unbelievably pretty, prompting some to call her a robot goddess. When she was introduced to the press, the researcher said, "Hello." Jia Jia responded by saying, "Yes, my lord. What can I do for you?" When photographers got too near her, she reacted by saying, "The photos taken from your angle will make my face appear bigger." This unexpected comment drew laughter from the audience. For now, Jia Jia is only capable of responding thru facial micro expressions and her speech is distinctly robotic. The researchers hope to improve her learning abilities, facial expressions, and interaction with people. Some quarters are not pleased with the way she was created into a subservient, outdated stereotype of a robot. Addressing her makers as "lord" , doesn't sit well with other observers who believe robots should have their respective personalities. But the researchers said they will upgrade the artificial intelligence (AI) of Jia Jia in the future and make her more expressive, hinting of the possibility that someday she just might be able to laugh or cry. Don't ask for the tag price because she's not for sale nor are the researchers planning to mass produce her kind. They only want to make her more lifelike. In other words, they want her to look and act more like a human being. Now, are you scared or are you fascinated with the possibilities that AI can offer, from this point on? As long as a robot don't get to the level of a Terminator, that's okay, right?